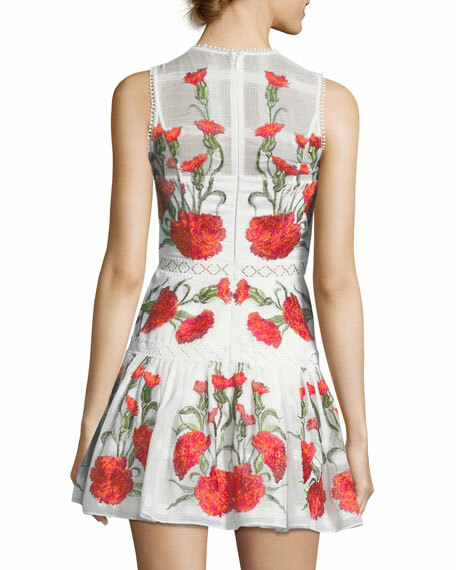 Alexis "Sabella" floral-embroidered linen dress with scalloped trim. For in-store inquiries, use sku #2528137. Exclusively ours. 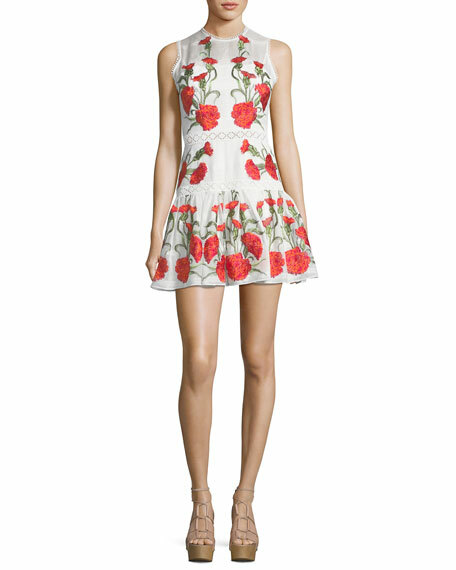 Badgley Mischka Collection crepe sack dress with embellished neckline. V-neckline; tassel at front. Sleeveless. Sheath silhouette. Mini length. Straight hem. Hidden back zip. Polyester/spandex. Imported. 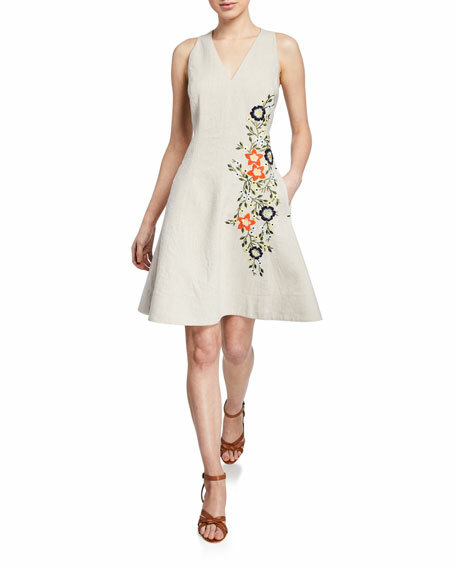 Elie Tahari "Londa" linen dress with floral-embroidered detail. Approx. 37"L down center back. V neckline. Sleeveless. Side slip pockets. Fit-and-flare silhouette. Knee-length hem. Hidden back zip. Linen. Imported. Halston Heritage wrapped fitted-drape dress. High-jewel neckline. Sleeveless. Sheath silhouette. Back princess seams. Front draped skirt. Hidden back zip. Mini length. Dry clean. Cotton/polyester/spandex. Imported of Italian material.